Cathy Hawkins has been a REALTOR® since 1981. 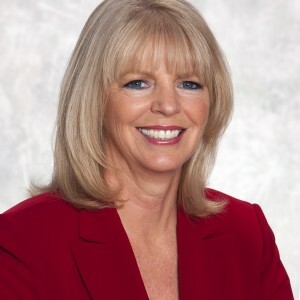 With over 35 years of experience in the real estate industry, prospective clients can expect nothing but the best buying or selling experience with Cathy. "I love working with first-time buyers and helping them make informed decisions with my years of experience." Cathy also enjoys working with seniors who want to downsize from their homes. Before working as a REALTOR®, Cathy worked at various jobs. Full of energy and enthusiasm, she found her sweet spot in the real estate industry where her clients benefit from her dedication and work-ethics. For Cathy, it's all about finding the perfect home. And her clients love it! In fact, most of her clients today are either referrals from her past clients or their children. An excellent listener, Cathy focuses on understanding her clients' wants and needs to serve them better. "I make sure my clients are aware of the negative and positive aspects of the property in order for them to make a good buying decision!" Often described as honest and hard-working, Cathy earned a good reputation for treating her fellow REALTORS® with respect. You can find her helping young REALTORS® in her spare time. Cathy can also speak in American Sign Language (ASL). Believe it or not, Cathy is a competitive horseback rider for 25 years! She also owns a Harley Davidson motorcycle and enjoys riding with fellow bikers. Cathy loves animals especially dogs and her Morgan-breed horse. She is an active supporter of the SPCA in Edmonton. Recently, Cathy Hawkins received her 35th-year membership with the Real Estate Association of Edmonton. She also received the 100% Club Award and was inducted into the RE/MAX Hall of Fame. Cathy specializes in properties inside Edmonton and the surrounding communities of Sherwood Park, Leduc, and Beaumont. She's also an expert in acreages surrounding Edmonton. "Because of my years of experience, I know what a great investment real estate is and can guide my clients to the best properties for them to live in and enjoy, or invest in for future profit." Cathy helped us buy in August, 2018	Reviewed 1 month ago by Nancy G.